I love games and puzzles, especially ones that involve words. 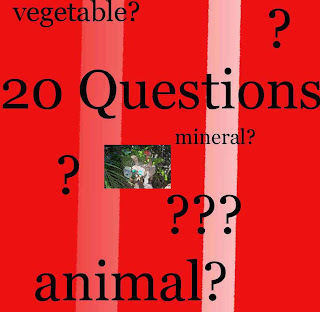 One of my favourites is 20 Questions. Do you know the board game? One person gives a category and the others have a total of 20 clues to try to work out the answer. That sounds matter of fact maybe, but it truly is such fun. 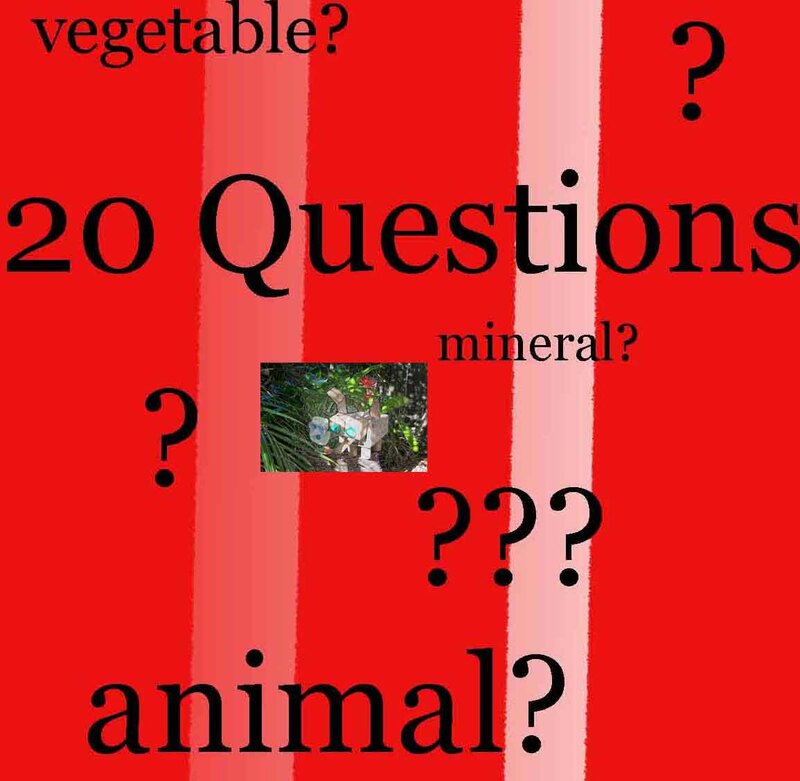 Today I thought I found 20 Questions online. I got excited because I decided if ever I can't find a family member or friend to bully encourage into playing the game with me, I can resort to cyberspace. Alas, it's not exactly the same as the game I know. Instead, I had to think of an answer, and the game got twenty questions to try to work it out. But I think your kids might enjoy it, and it's a great way to slip a little incidental reading and decision making into family life. It's a bit like Akinator, which concentrates only on famous people. Once you choose your language, (I went with British English, Australian wasn't offered) you then choose a theme like Doctor Who, Star Trek, UK Music, UK People, Disney. I chose the Classic 20Q. I had to think of something and the game asked me if it was animal, vegetable, mineral or other. I clicked on the correct one, and the game asked the next question, trying to narrow it down and work out my answer. It took 13 questions to work out my "giraffe". This might be a fun way to introduce your kids to a game you can play in the car or as a board game around the table. You might have known it by the title Animal, Vegetable or Mineral. If you don't know the traditional game, you can find the full directions for that version online. It's an excellent activity to develop deductive reasoning, for getting kids to think about starting with general questions, and narrowing down to work out a clue. The 20Q site also has a neat Hangman and a Memory game. If you would like to find more ideas about word games to play with your kids, I have some in The Book Chook Bag of Tricks. Playing games with words, sharing riddles or limericks, collecting knock-knock jokes and even favourite words and expressions is a great way to involve our kids in the wonder and magic of language. And it's such good fun! I was just looking for some car-games. Thank you! I recommend Hink Pink (under Book Chook Bag of Tricks) particularly as a car game, Paula. It wouldn't let you choose Australian? Strewth. We have words too you know. Like: hooroo and cobber and lots more that I can't think of just now!